Excited to co-host and participate on the panel for the launch of the 2018-9 season of "The 100% Certainty Project. Death: Something to Talk About". 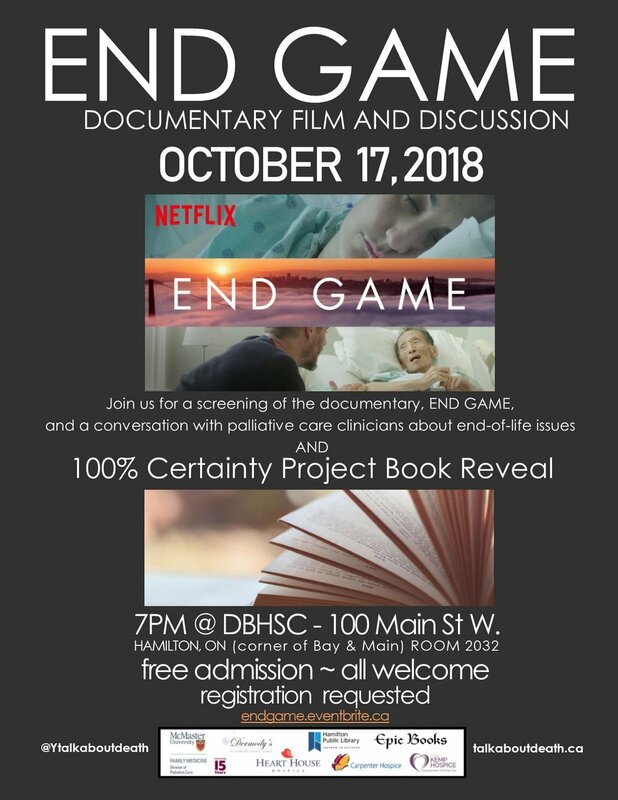 Join us for a screening of the Netflix documentary, "END GAME" followed by a conversation with Palliative Care clinicians. Our free public event at McMaster University features the brilliant documentary "End Game" from Shoshana Ungerleider, MD highlighting the essential tenets of Hospice Palliative Care. The film showcases the collaboration, compassion and communication as the heart of person and family-centred care at UCSF Medical Center with Steven Pantilat and the extraordinary interprofessional team. The film also highlights the brilliant work of Zen Hospice Project, showcasing Dr. BJ Miller and the extraordinary interprofessional team in Hospice. “The key to providing decent palliative care is a little bit of basic planning. Four conditions – cancer, cardiovascular disease, COPD (lung disease) and diabetes – account for 70 per cent of deaths. Those chronic conditions all have fairly predictable courses of illness in the terminal phase. You don’t get diagnosed with lung cancer or heart failure one day and die the next. It’s a months-long process and providing pain relief (palliation) should be standard, and a priority. Two in three people receive home care in their last year of life. But only one in seven receive palliative care in the home. That’s the failure point – and that’s what we need to fix. There needs to be a commitment – philosophical and financial – to bringing palliative care to patients when they need it and where they want it. Not everyone can (or should) be cared for at home in their final days. It’s back-breaking, emotionally-draining work for loved ones. Yet many would do so willingly and lovingly. But they run up against a gross number of barriers, ranging from difficultly getting home visits from physicians (who are poorly remunerated for that work in many provinces), lack of nursing support (because of caps on home care hours), and absurd rules that mean drugs taken at home are not covered by medicare. All the problems raised by the CIHI report are easily resolved. For example, having paramedics provide palliative care can eliminate transfers to hospitals. Sending doctors and nurses to homes or nursing homes can free up hospital beds – and save money in the process. Not to mention that, at the very least, people deserve a modicum of dignity in their dying days. Do you know a grieving child or youth (aged 6-17) who could benefit from support? Am proud to be the new Clinical Director for Camp Erin Hamilton and want to share information regarding this extraordinary free camp. Camp Erin is a FREE weekend bereavement camp (held annually in June) for children and teens ages 6-17 who are grieving the death of someone close to them (parent, caregiver, sibling). Campers participate in fun, traditional camp activities combined with grief education and emotional support, led by expert bereavement professionals and trained volunteers. The following short videos capture Camp Erin Hamilton and highlights some of the kids and teens sharing the brilliant range of experiences that both normalize their thoughts and feelings and further empower them to cope with grief and loss. If you know a grieving child or teen (6-17 yo) who would benefit from this experience, camper applications are now being accepted. Camper applications are due March 26th. 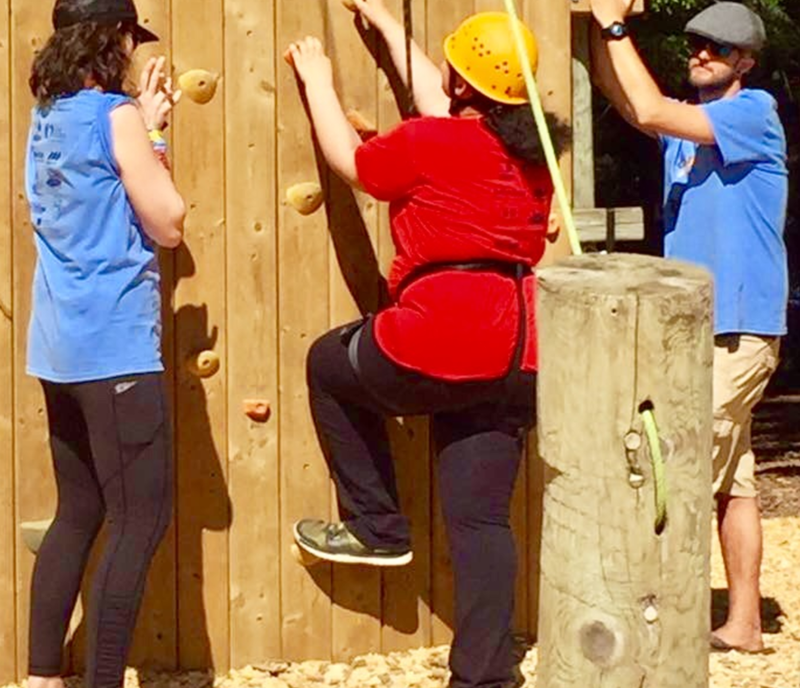 For more information, please watch the following video, or visit Dr. Bob Kemp Hospice or https://kemphospice.org/camp-erinfor details and application forms. "Live. Put your phone down. Talk to the person in front of you. Hold the door for people. Smile if someone catches your eye. Say thank you. Say please. Give hugs. Compliment people. Compliment yourself. Love yourself. No one will remember what size the pants are you are wearing but they will remember the way you walked in them. So walk softly. Speak boldly. Love gently. Laugh loudly. Call someone if they cross your mind. Allow yourself to be happy for others, and most importantly allow yourself to be happy for yourself, through every stage and step of your life. Be happy. Life doesn't have to be perfect for it to be perfect." " Families with unfinished business had significantly higher depression and grief scores after bereavement compared with those without." “We know nothing about what is next” — Lessons on Loving & Losing a Child. "I cannot control their world, nor prevent them from all harm. All I can do is try and focus on the now. Focus on what matters... And love them. 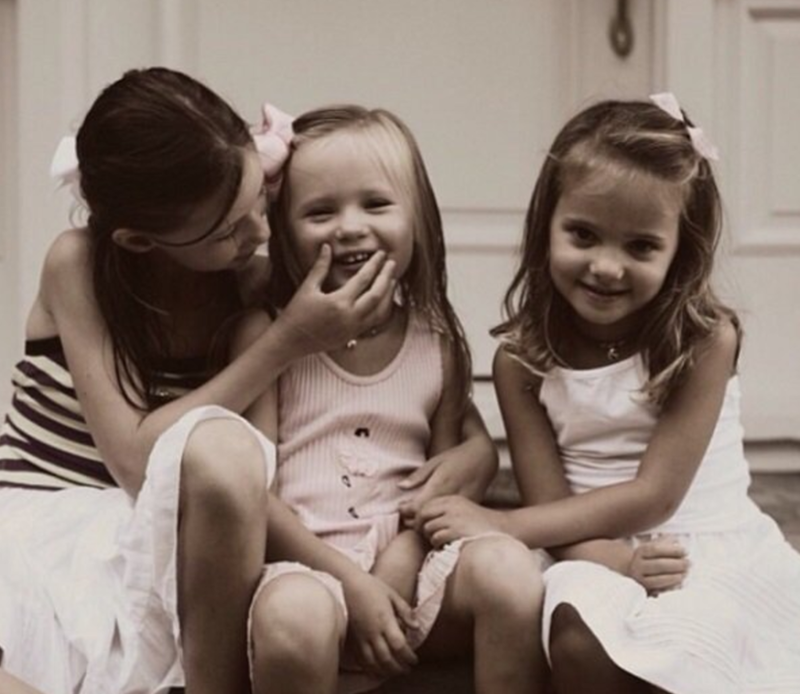 I can love them in every way I know how." Source: “We know nothing about what is next”—Lessons on Loving & Losing a Child. Am honoured to volunteer with Camp Erin. It is indeed a remarkable community and one that nurtures capacity in children and youth to grieve the death of a loved one. 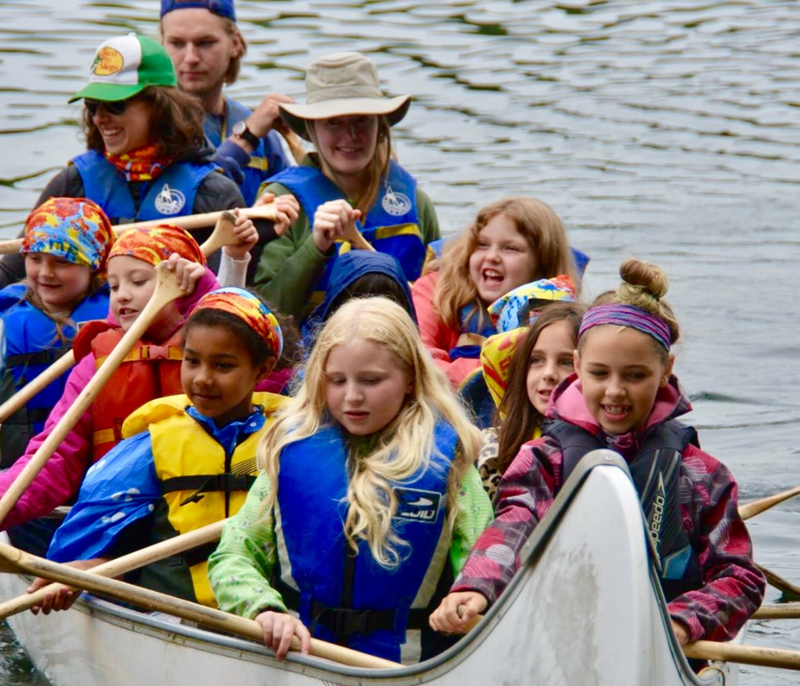 "Children and teens ages 6-17 attend a transformational weekend camp that combines traditional, fun camp activities with grief education and emotional support, free of charge for all families. 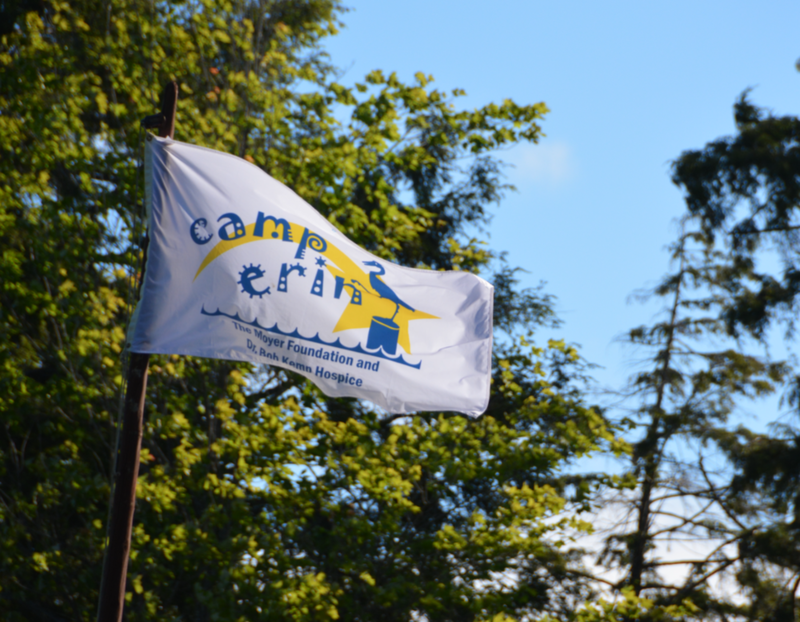 Led by grief professionals and trained volunteers, Camp Erin provides a unique opportunity for youth to increase levels of hope, enhance self-esteem, and especially to learn that they are not alone. Camp Erin is offered in every Major League Baseball city as well as additional locations across the U.S. and Canada. The Moyer Foundation partners with hospices and bereavement organizations to bring hope and healing to thousands of grieving children and teens each year. "We tend to defer the question of living or dying well until it’s too late to answer. This might be the scariest thing about death: coming to die only to discover, in Thoreau’s words, that we haven’t lived." “I visit people who are dying -- in their homes, in hospitals, in nursing homes. And if you were to ask me the same question -- What do people who are sick and dying talk about with the chaplain? -- I, without hesitation or uncertainty, would give you the same answer. Mostly, they talk about their families: about their mothers and fathers, their sons and daughters. Grateful for hosting and to all in attendance honouring connections. I am hosting a free event dedicated to making Hugs. "The physical embrace of a Hug is comforting for anyone in a time of need. In this instance, it is a creative legacy project that can be completed by anyone, anywhere at any time and is then exchanged as a lasting memento". This is a family event and appropriate for children of all ages. Please join me. I am a Palliative Social Worker and for the past 17 years have had the privilege of caring for people facing a life-limiting illness. It is an intimate and profound experience - sitting alongside people as they face end-of-life. They share their hopes and fears - about living and dying - and about caring for and leaving behind those they love. Trying to protect their families while also wanting to prepare them. Grieving these losses begins at time of diagnosis. I recognize the importance of creating safe spaces and making time to have these essential conversations. A specific legacy project creates opportunities for the individual and family* to do just that - to hold on, while letting go. We meet together to explore the impact of the illness, to talk about goals and plans, to acknowledge their grief and honour connections. This project can be completed with families large or small, and include children of all ages. That Project? While the results have been profound, the activity is, quite simply, creating a “Hug”. The physical embrace of a Hug is comforting for anyone in a time of need. In this instance, it is a creative legacy project that can be completed by anyone, anywhere at any time and is then exchanged as a lasting memento. The Hug can be taken to any significant place or event: to school, a little-league playoff game, during an admission to hospital or hospice, or even once someone has died, these hugs can be buried or cremated and remain with a loved one forever. Although tantamount to making a scarf, it is more importantly symbolic of the outstretched arms of a loved one, it becomes a personalized “Hug”. The components are basic… a flat sheet, markers or fabric paint, scissors and willing participants. After laying a sheet on the ground, one person lays on top of the sheet while another traces around their outstretched arms and hands. After sitting up, lines are drawn connecting each arm and then taking scissors, cut along the outline. Each Hug is then adorned with messages and images of the shared connection and becomes a tangible expression of their love. I have completed this activity with anyone wanting to participate, whether ambulatory or bed-bound. For those who are bed-bound, after carefully sliding a sheet behind their shoulders, the family tenderly helps to hold and trace their outstretched arms and hands. Throughout this activity, the individual and family share stories and a profound connection, with each gentle movement and precious memory cultivating an incredibly intimate experience. Language, distance or time do not serve as barriers. I have completed this activity when families speak a language different from my own. Despite communicating through an Interpreter, the conversation remains seamless throughout as the family creates a beautiful and moving tribute while supporting each other in their shared love and grief. This supportive intervention has also bridged great distances, even though families were thousands of miles apart, they completed and sent their personalized hugs via courier to be at the bedside of their dying loved one. I have also completed this project with children following the death of a parent (many of whom had not been informed about the disease or prognosis in advance). 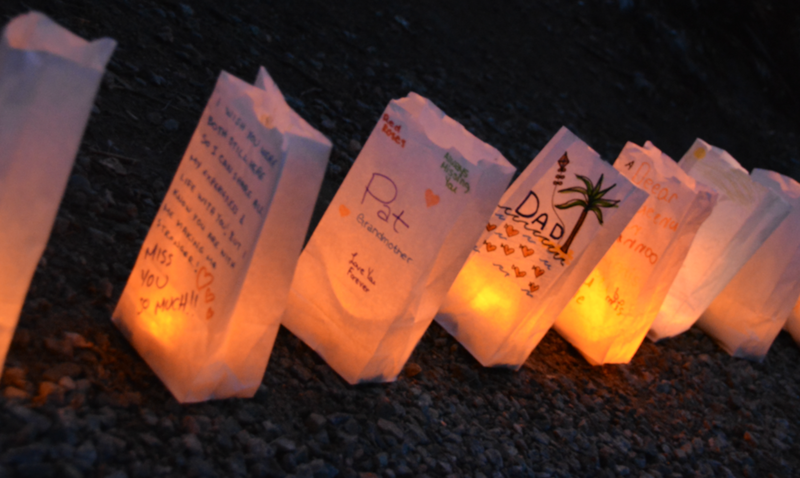 Although a parent - or any loved one might die before the family has an opportunity to have these conversations, it is so important to facilitate therapeutic activities to collectively express their grief while honouring the connection with their loved one. While this “Hug” is essentially an expressive arts project, it creates and holds significant therapeutic value for all involved. It is a collaborative experience for the family to honour connections while preserving a legacy. Though each experience is unique, what remains universal are the shared laughs, tears and a multitude of stories - whether with a partner, children, grandchildren, siblings, parents, cousins, friends (or all of the above), they create reminders of shared experiences, connections and precious memories. I believe as Health Care Professionals, we can provide invaluable opportunities for families to connect, and collectively process experiences from time of diagnosis through to end-of-life and into bereavement. I feel extraordinarily privileged that families allow me into their lives - however brief, I hold that time as sacred and do all I can to foster these connections while honouring the legacy of those living and dying. Starting the Conversation: Death Cafe debuts in Burlington. Tell someone you’re headed to a Death Café and no doubt their expression morphs into something between bewilderment and abject horror. Odd words to toss together, and the name conjures up all sorts of somber, gloomy thoughts. But Death Cafes are not morbid, depressing places, nor are they gathering spots for zombies. ‘Patrons’ don’t dress in black or ghoulishly discuss death while sipping tea. Death Cafes are, in fact, respectful spaces where people of all ages can congregate to chat informally, often with complete strangers, about death and dying. And who would choose to do that? As it turns out, quite a few people; enough so, that there was a waiting list for the first ever Burlington Death Café last week at city hall. The “very brave souls” and “trailblazers” - as organizers called attendees - ranged in age from their 40s to 80s. Death Cafes are based on an “international movement” that originated in the UK and they are designed to begin a conversation about an uncomfortable, often taboo, subject – death. “It is simply a conversation that happens over coffee, tea and cake. Interesting conversation and laughter is guaranteed,” she said. Among participants at the local Death Café were those whose professions routinely deal with death, but there were others from all walks of life and faiths who simply wanted to share and listen, people who felt the initiative an important conduit in opening up a very important discussion in the city. “It’s really an introduction to the community. We want to create awareness and offer safe spaces for people to come together and talk about dying and death,” said C. Elizabeth Dougherty, a hospice palliative care social worker and educator. “We want to reach out to everyone, all ages, and normalize it for people, whether they’ve been diagnosed with a life-limiting illness or whether they’re living healthy, fruitful lives. In their respective jobs as minister and palliative care consultant, Joel Bootsma and Villy Simonetta are all too familiar with death. As witness to extremes in how people deal with dying and death, Simonetta loves the idea of taking that fear out of death. “It is part of life. It’s a beautiful experience when we’re born and as we go through the journey of life, it’s something we’re facing so let’s face it the best way we can, spiritually, (and) with love (and) compassion,” said Simonetta. 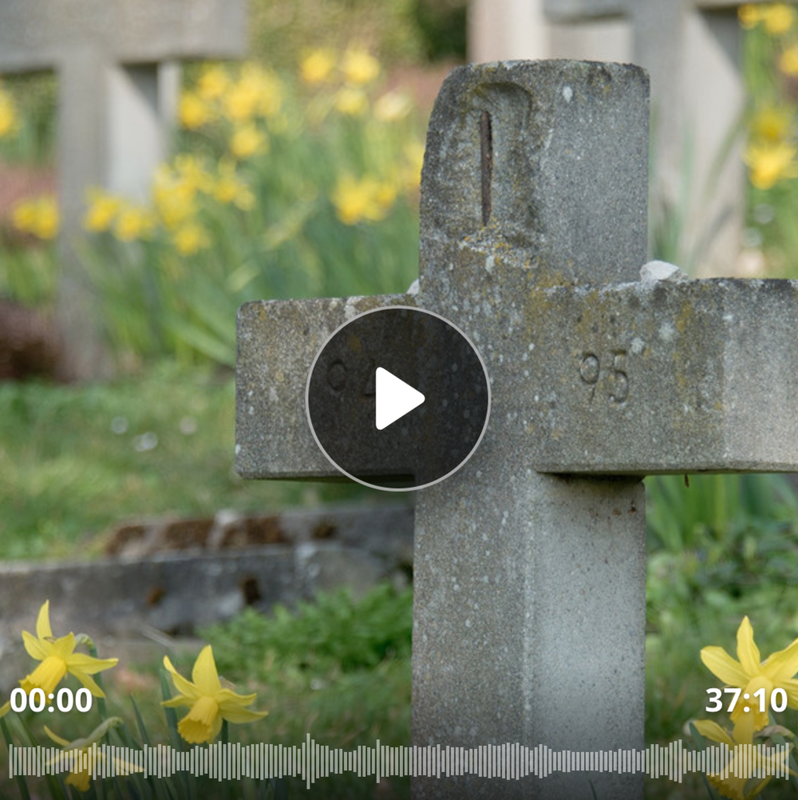 In Buddhism, it’s about making death peaceful and quiet so one can let go of this world easily, commented Deborah Klassen, centre director of a Tibetan Buddhist Centre. she feels strongly that the topic needs to be open and shared. The hospice has based its charter on a UK model, and worked closely with the city to create “a framework of 12 social changes” to put Burlington on the path towards being a more compassionate city, said Tompkins. “It’s all about building capacity in the community to support people because the reality is, the population is aging and the medical system can only do so much,” said Tompkins. Many people don’t realize that healthcare professionals aren’t given training and education on dying and death and how to care beyond the medical model, or how to have those intimate, essential conversations about the psychosocial impacts of dying and death, said Dougherty. “It’s about encouraging and empowering people to have these conversations with their families, friends and healthcare providers about advanced care planning, and their values and wishes for end of life care, said Dougherty, who co-founded The End Game, with Torbiak to provide professionally facilitated education and training sessions to normalize living and dying. There is the demystifying piece to the movement, but the charter is also about embedding with community organizations to build bridges and links, said Tompkins. “These conversations are so timely too because we know that only 16-30 per cent of Canadians actually have access to hospice palliative care services, so certainly funding and access is a concern,” said Dougherty. Thankfully, she added, the quality of living and dying is on the national landscape, so it’s an especially important time to have these conversations, to raise awareness, and build a groundswell of public support. Both Tompkins, who was sole caregiver for her terminally ill partner, and Dougherty, who has been immersed in palliative care for 17 years, said their experiences have taught them that open communication with loved ones is critical. “Families are incredibly conflicted and very much wanting to be open and honest with each other, but the fear of not knowing what to say, or how to say it, or just the worry about the sadness. …denial is an incredible coping strategy for many people,” said Dougherty. “The families I see that manage best certainly are those that have those open conversations, admittedly difficult conversations. It’s ok to be sad, it’s okay to be angry, it’s okay to be frustrated but it’s important to share what’s on your mind,” said Dougherty. Last week marked the first Death Café in Burlington, but it’s certainly not the last, said Dougherty. At the launch of the Compassionate City Charter this fall, organizers hope to have two simultaneous Death Cafes on Oct. 8, which happens to be World Hospice Palliative Care Day. “We’re just getting started; we’re starting a revolution,” smiled Dougherty. Carpenter Hospice and The End Game are pleased to invite you to Burlington's Death Cafe! Death Cafe is an international movement where people, often strangers, gather to eat cake, drink tea and discuss death. Our objective is 'to increase awareness of death with a view to helping people make the most of their (finite) lives'. At Death Cafe, you can expect a group directed discussion of death with no agenda, objectives or themes. It is a discussion group rather than a grief support or counselling session. It is a respectful, open-air public event where people of all communities and belief systems are welcome to have discussions about death. 4. With coffee, tea and cake! Throughout life, we celebrate milestones - weddings, births, anniversaries - but the milestone that we are most often afraid to confront is one of the most impactful - death. For many people, talking about end-of-life is uncomfortable or even taboo. But sooner or later, we all face death. What fears are holding us back from having essential conversations that will improve our own lives and the lives of those we care about? We understand that death is informed by the lived experience and want to create opportunities for the lived experience to be better informed. We have just launched a new series creating public forums to empower people to have conversations about living and dying. We want to foster opportunities for the general public, healthcare professionals, first responders, health science students, residents of long term care, financial planners, faith communities and community organizations to talk about living and dying. We strive to normalize conversations about living and dying in a non-judgemental, non-denominational, upbeat and interactive session. We aim to provide attendees the opportunity to consider their values and receive credible resources regarding advance care planning and end-of-life care. The story is about losing something—yourself, people you loved, what you thought you knew about the world—yet still being whole. Butterflies are all about transformation. I try to see the beauty in all the damage. I try to see the beauty in all the ruin. And I definitely see the love." I can’t save my daughter from a terminal illness. But we can help save other children from the same fate. "There is no way to escape losing a sense of who you once were. And after a year (or two), you wake up from this transformation and realize that you were not actually dying; you just felt like you were. And then you must make a choice. One option: You can give into the horror of it all and retire to bed. No one would blame you; it is a tempting alternative that lurks at the back of my brain from time to time even now. The other option is that you take the pain and harness it to do things you could not imagine ever possessing the strength to accomplish. 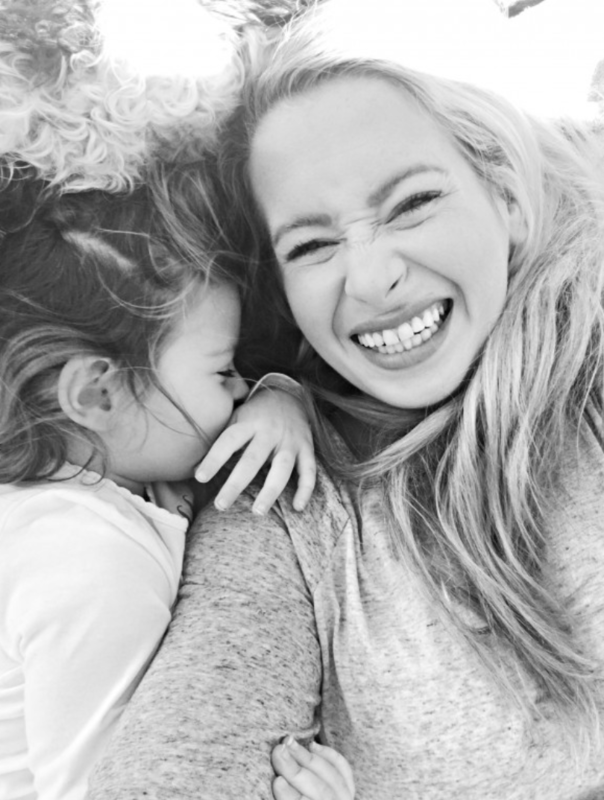 Being around children like my daughter will teach you the very meaning of life." One thing I have noticed as an “empowered patient” is that most people don’t talk about death and dying. We might think about it, but we don’t plan in advance or communicate what we would want if we ever were put in a position where we could not speak for ourselves. I understand. It is an uncomfortable topic. According to a 2012 report by the California Health Care Foundation, 82% of Californian’s think it is important to put your end of life wishes in writing, yet only 23% have done so. Why is this important? …The medical team gave J medication to take away any pain he may experience. They removed his breathing tube, and unhooked all machines except for the one monitoring his heart beat. Quickly, his bed was moved to the sunny room where his friends, including myself, were waiting outside by the window. A friend said “Orange Sky” held a lot of meaning for J. I had never heard this song, but now I will never forget it. I watched J’s heart rate decrease during the first two-thirds of the song, from the low 30s to zero. The monitor began to ding. A friend pushed a button, silencing the sounds. I held J’s feet. We listened through the end of the song, with our faces on J’s, tears pouring out of our eyes. I was sobbing. We were devastated. When the song ended there was silence. Then the scene from a movie played out: A doctor wearing a white coat walked into the room. He donned a stethoscope and raised the end to J’s chest. His hand moved to various areas of our friend’s chest, and down and around to his stomach. He raised each of J’s eyelids to shine a flashlight into the pupils looking to see if they would constrict. The pupils did not move. The doctor looked at the clock and said, “It is 6:11. Take as long as you need.” He exited the room. End scene. We all stood looking at J for a long time. Then the music began again… ‘We Could Be Heroes,’ by David Bowie.